It has been a whirlwind over here the last few weeks between Thanksgiving and Christmas! We have had two parties here at the house and I have shopped, knitted, sewn, and baked more than I would like to discuss.... I can't believe it is all here already. As mentioned before, I am "one of those people" who gets my halls decked before Thanksgiving since I do so much holiday decorating. 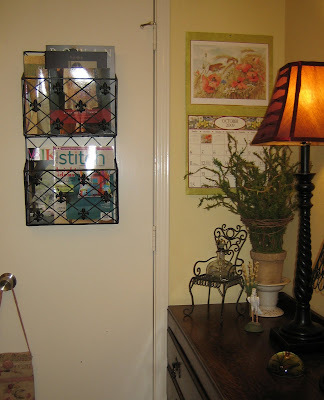 I have decided to share my Christmas cheer with you and provide you with a tour of our home at the holidays. I have several large trees up on display, each with its own theme. I do love Christmas decorations as you will readily see. 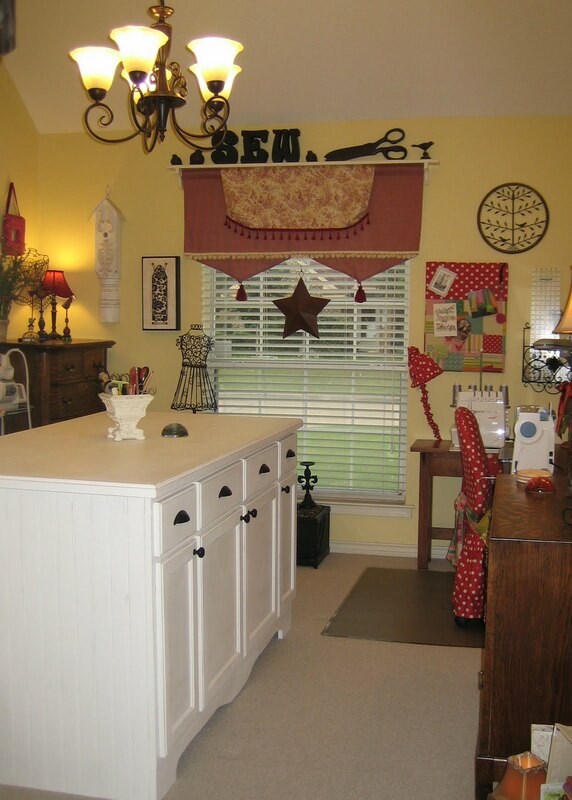 So come along with me on a tour...starting with our front door, through the formal areas, family room, kitchen, studio, hall bath, office, and the master bedroom and bath. I will let the photos speak for themselves. I sincerely hope all of you have a wonderful Christmas and a Happy New Year! Yes, it has been a whole month since I have written. In that period of time, I have been to Cincinnati for the step by step photo shoot for THE BOOK at the end of October. The trip went well and I enjoyed the process. I think these photos will be a great addition to the techniques featured in the book on various projects. We had some extra time while I was there, so we also shot 3 short technique videos for You Tube to accompany the book. Will let you know more when I do.... anyway, it was fun and the weather there was perfect. The leaves were all changing colors and just lovely...we don't get a lot of that in TX....just green leaves, then brown leaves, and finally....NO LEAVES until spring....but that's okay! We don't get a lot of really cold weather either and even though I think I would like to see snow for an extended period of time, I think I would grow tired of it. But I digress. There is more that I have been up to in the past month. Getting orders out, running around getting errands completed, and decorating for Christmas. Yes, I am ONE of THOSE people who decorates before Thanksgiving, but it is because I put up seven trees and decorate every room, so I like to get it up early and enjoy it. 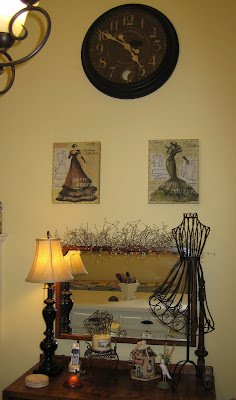 Perhaps I will take a few photos to share these "decked" halls of mine! Well, this is supposed to be about the studio, right? 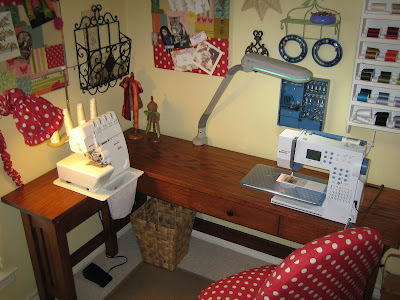 A while back I posted about the start of this project and the awesome sewing table I had built, The Sewing Studio, Part I. Well the rest of it is done and I finally have a chance to share the results. It is in a word....FABULOUS! I can't begin to tell you how wonderful it is to have a dedicated space to work. It took us two full (VERY full) weekends to make the island featured in the photos you are seeing. There used to be a bed in this room since it doubled as our guest room, so I have been stooping over a bed to cut out and create designs for more years than I would like to count. I finally decided that this was just pure silliness and decided to get the bed out and make a real work space. I should have done this years ago! It is refreshing not to mention inspiring to go in and work in my studio, and who wouldn't love being able to say, "If you need me, I'll be in my STUDIO!". 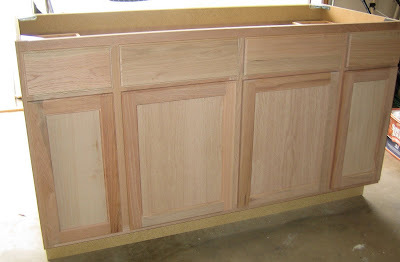 To give you some background on this piece, we started with an oak base cabinet from Home Depot. 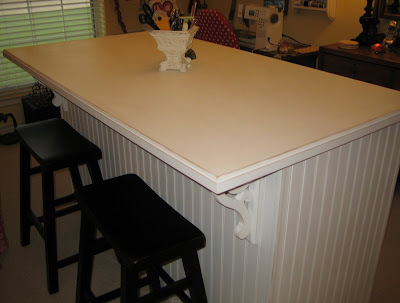 It measures 60" long by 24" deep and regular counter height. It was designed to have a large sink placed in the top. 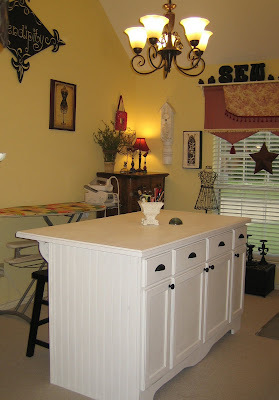 We used that space to create a slot below the countertop to store my cutting mat when not in use...it is ingenious! If you look closely at the photos, you can see the framing for that inset before the top was installed. I access it from the side where the stools are. 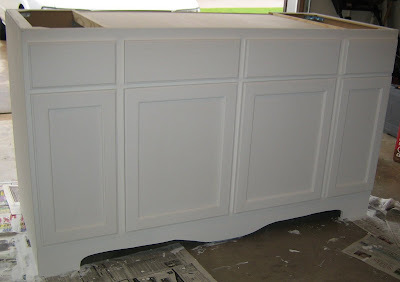 We added faux beadboard to the sides and back, then I painted the entire cabinet with cheap white latex paint. I wanted to be able to use this piece without having to worry about messing it up, but I still wanted it to look nice. 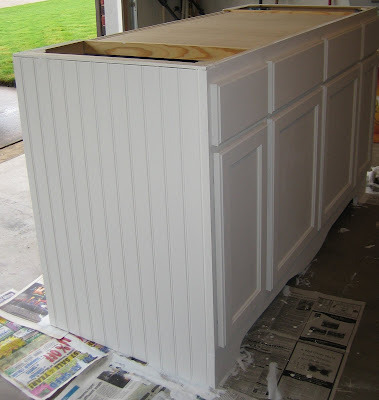 By using this type of paint, I achieved a matte look and was able to blend the oak parts with the non-oak parts. I sanded it pretty heavily to get a slightly distressed look. I even rolled the top with the same latex, then hand sanded the whole thing. 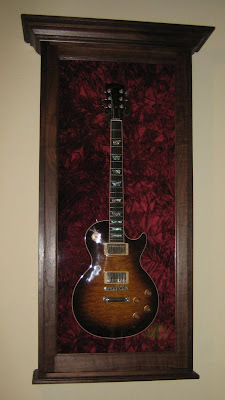 It looks like laminate! I was amazed with this result. I have to say I wasn't sure it would work out, but it did. 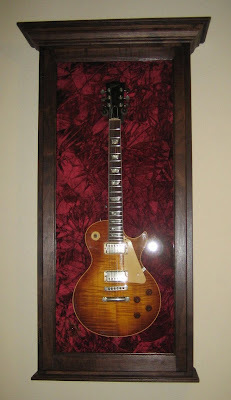 Notice the faux feet at the front? 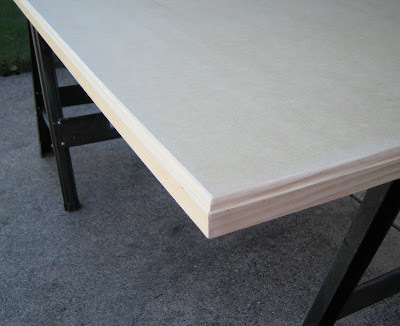 I cut a piece of wood with the jigsaw to accommodate for the overhang of the cabinet, as I wanted it to look like a piece of furniture. We added it to the front and I distressed it to match the rest....I have to say that we are quite pleased with ourselves for building this thing! 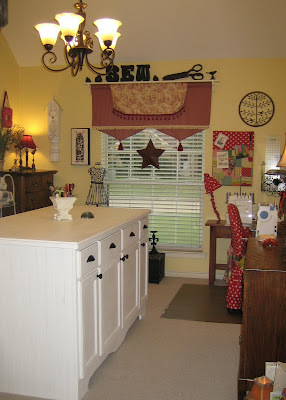 As my husband likes to say, "It took about $300 in materials and $5000 in labor...." Go figure! And, Happy Thanksgiving to everyone. Hope you fill yourselves to the gills with all the goodies and enjoy your family and friends. I know how thankful I am to have a successful business doing what I love. Thanks for your support and enthusiasm. It means more to me that I could ever say!! Hey Everyone! I know, I know, I have been gone a while. There has been a lot of fabric and thread flying around in the air around here in preparation for market. Since market is a WHOLE TWO WEEKS EARLY this year, everyone has been going crazy trying to be ready. I think our whole industry will heave a huge sigh of relief when this one is over, so listen carefully because you may actually be able to hear it! Anyway, I thought I would share my new designs for fall now that most of the sewing is finished and the patterns are currently at the printer. They should be here by the end of next week and be available for purchase the first week of October. 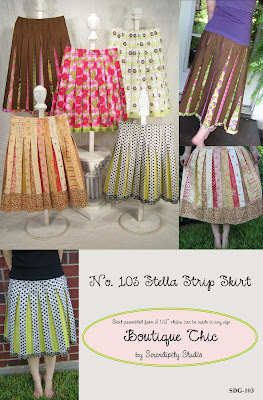 The Stella Strip Skirt: Stella is made from pre-cut fabrics, such as jelly rolls (Moda) or you can cut your own strips....it is up to you. This skirt can be made almost entirely with a serger, if you have one...it makes the construction super fast. It also features an easy to wear elastic waist with four rows of elastic. This means that the upper portion of the skirt lays really flat and does not add bulk to your mid section. 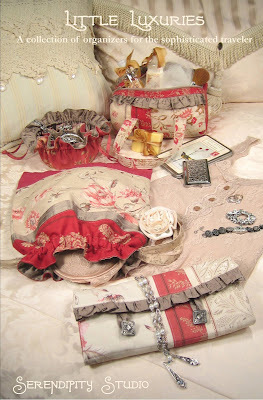 You can also choose to wear it at the waist or slightly below, as I like to do. The Emaline Skirt: Emaline is a redesign of Emily. Em was due for a reprint and I decided it was time to freshen her up, make some new samples with new variations, and improve the pattern pieces. For those of you who have worked with this pattern, I made the pleat markings really confusing....sorry! I didn't intend to do it, but the way that Emaline is marked, there will be no confusion at all....wish I had done it this new way to begin with....we all learn as we go along, I guess! There are three basic variations.....plain, pleated, or gathered, with lots of options to add ruffles, bands, and even a wonderful tulle ruffle to the bottom! It can be sleek and casual or ruffled and ultra feminine...your choice! The Torii Tunic: Torii is my first long sleeve tunic. 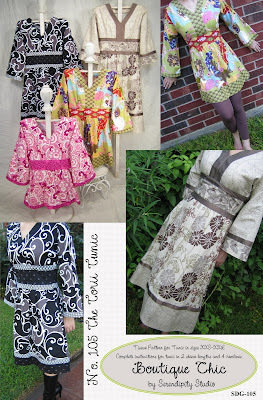 She has sort of an Asian flair, depending on the fabrics you choose. This design is featured in three lengths so it can be worn with jeans, leggings, or as a dress. You also have the choice to make the sleeves three-quarter or full length. Of course, there are also trim options with contrast at the neckline, sleeves, waist and hem...an obsession of mine! Oh, and you should also know that this design zips up the back...so gear up for that invisible zipper again! The Bijou Traveler: Bijou is a wonderful travel bag that features two exterior pockets....one being my special media pocket complete with a grommet for your earphone wires. This bag will slip nicely "under the seat in front of you"...if that sounds familiar at all..... The zippered top keeps all your stuff safely inside and the bag also has divided pockets along both interior sides. The long shoulder straps make this bag a breeze to sling over your shoulder and get going! The Abigail Bag: Abigail is a great shoulder bag in two variations....yoked or gathered, with or without a magnetic or latch tab closure. She features two zippered pockets....one exterior and one interior for keeping your keys, sunglasses and whatever else you have within a fingertip's reach. There is also a high interior pocket so your phone won't get lost! 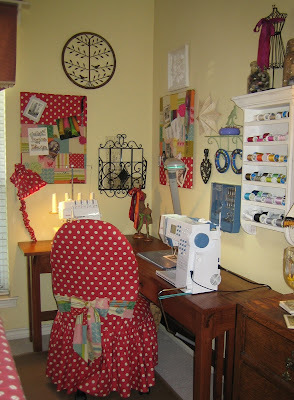 This design is a lot of fun using three different fabrics and is a breeze to sew together. Little Luxuries Mini-Book: Little Luxuries is a collection of travel organizers for your jewelry, lingerie, and toiletries. 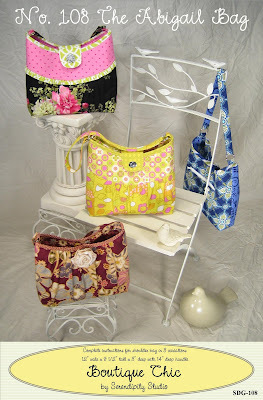 These are all quick to sew projects that would make a wonderful gift for the sophisticated traveler in your life. I decided to try a new format with this collection and put them in a small booklet. It is the same physical size as a pattern, but in a booklet form instead....I will be anxious to see what everyone thinks of this! 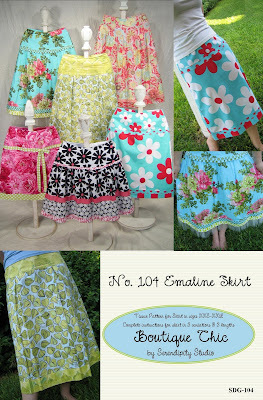 I decided to showcase the new French General fabrics for these....and they turned out so feminine and fun! 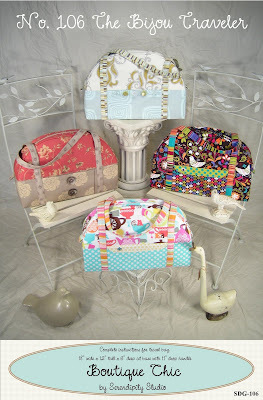 I can't wait to show them all off at market with their matching Bijou Traveler.....a set to die for! 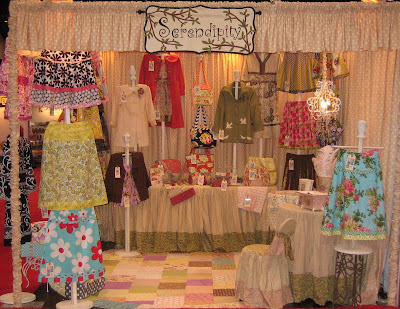 Moda: thanks for all of the wonderful fabrics! 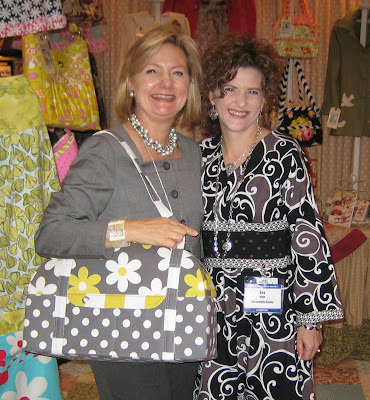 Michael Miller: Thanks for the fabulous fabric and for promoting the new patterns on your blog...be sure to check them out....Kathy Miller had some wonderful photographs made of her nieces in my new skirt designs....thanks so much, Kathy! 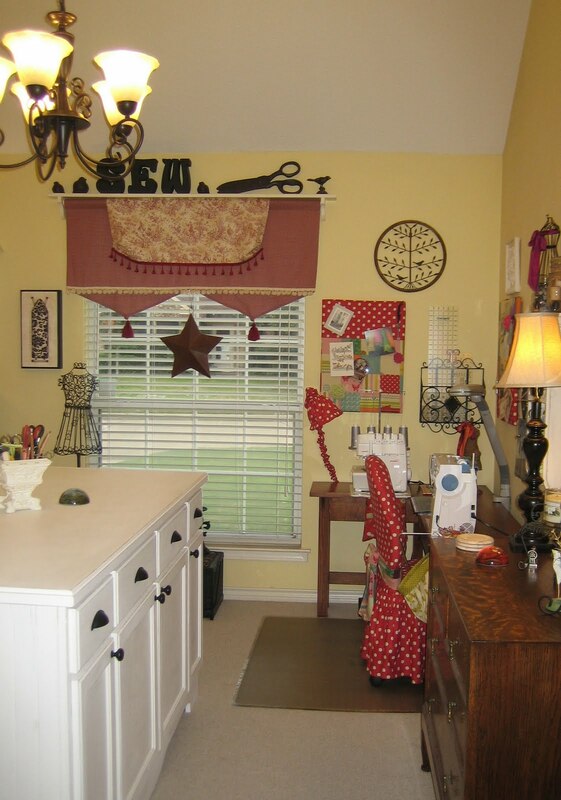 Oh, and the Sewing Studio, Part II should be ready pretty soon....can't wait to share that with you....it is going to be fabulous!